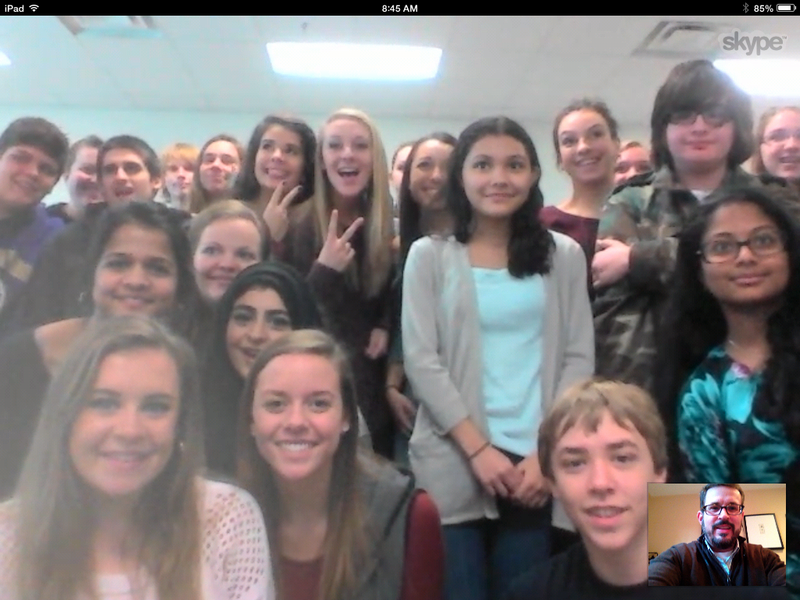 This morning I had the pleasure of talking with Scott Reintgen’s class at Holly Springs High School in Holly Springs, N.C., thanks to the magic of Skype. Though, with the temperatures in the 20s here in Jersey this morning, I would’ve been quite willing to head down there. We talked writing for a solid 45 minutes, and the students were polite, engaged, smart and pretty darn funny at times. They had excellent questions, including a couple that really got me thinking. I’ll see about posting some of their questions as an Author FAQ in the near future. So thank you, Mr. Reintgen’s class, for being awesome. It was a blast. And thanks for the group photo, too!